The shared-office giant’s loss in 2018 more than doubled to $1.9 bln, outpacing the growth – and amount – of revenue. Backer SoftBank believes in investing heavily in expansion. Potential IPO investors must square that breakneck spending with a $47 bln private valuation. 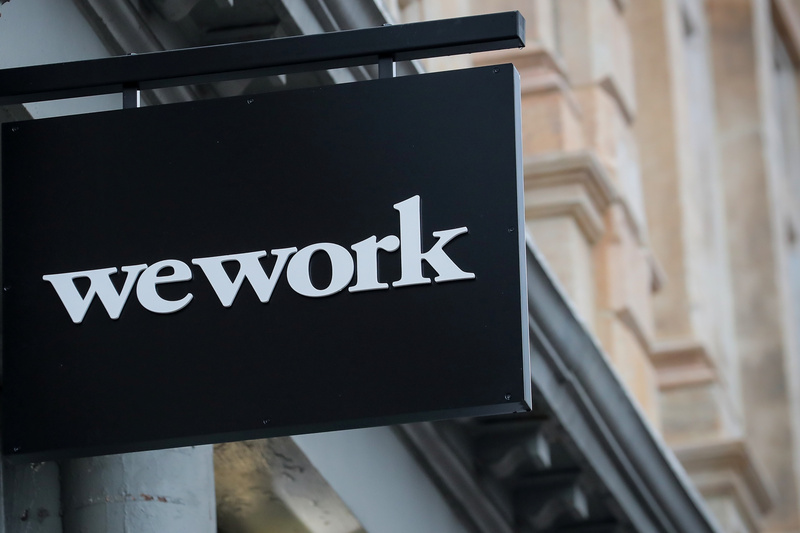 The WeWork logo is displayed outside of a co-working space in New York City, New York U.S., January 8, 2019. WeWork, also known as “The We Company,” on March 25 released information on its financial performance in the last quarter and full year 2018. The private company said consolidated revenue rose 106 percent to $1.8 billion last year. WeWork’s net loss also more than doubled from the previous year, to $1.9 billion. The company said it had 425 locations in 100 cities at the end of last year, up from 200 in 65 cities a year earlier. Its number of memberships surged to 401,000 in 2018 from 186,000 in 2017. The company’s so-called contribution, or “community-adjusted EBITDA” – a measure of profit comprising the revenue on shared workspaces less direct rent and operating costs but excluding most sales, marketing and overhead costs – doubled in 2018, to $467 million, a margin of 28 percent, up from 27 percent a year earlier.